Weapons for Swordsmen, Birdmen, Ninjas and Samurai. 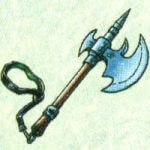 Cursed weapons can only be un-equipped after having the curse removed by a priest or a high level DETOX spell. They decrease one stat and may sometimes stun the character while equipped. 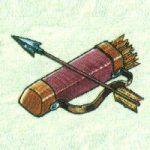 Weapons for Archers and Bow Knights. 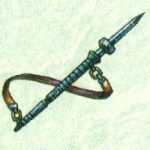 Weapons for Warriors and Gladiators. 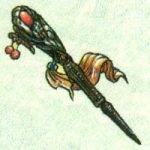 Weapons for Mages and Healers. 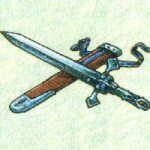 Weapons for Knights, Wing Knights and Steam Knights.